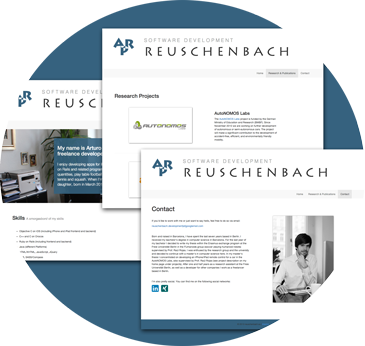 My name is Arturo Reuschenbach Puncernau and I am a developer and architect based in Berlin. I enjoy developing apps for iPhone or iPad as well as creating web applications, mainly in Ruby on Rails and related programming languages and frameworks. I also drink coffee in large quantities, play table football and challenge co-workers in all sorts of racket sports, especially tennis and squash. When I'm not spending time in front of the computer, I love playing with my daughter, born in March 2013. Since September 2014 I am a permanent software developer and architect working at SAP Berlin. Since 2011 I am a freelance software developer working at SAP Berlin, developing for iOS and on Ruby on Rails. 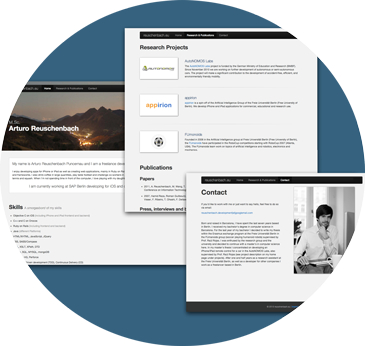 For the second release of my website I upgraded to Rails 4.0, Ruby 2.0 and Twitter Bootstrap 3.1. 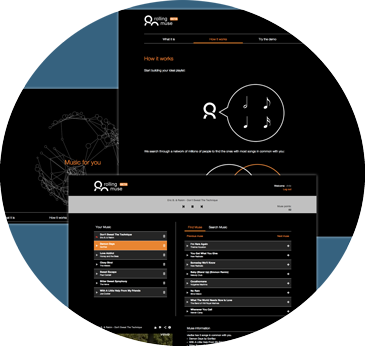 I also changed the layout using flat design style and added new content. The first version of my own website was built with Ruby on Rails (Ruby 1.9 and Rails 3.2), Twitter Bootstrap 2.2, SASS/Compass, Haml and other technologies, in order to offer the best compatibility for different browsers and devices. 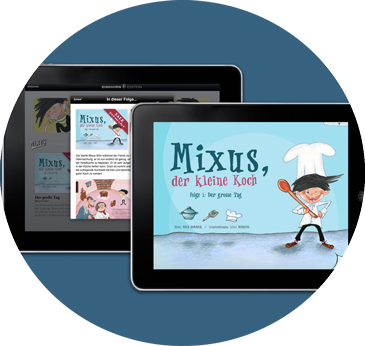 Einhorn Editon is an iPad app developed for the publisher Einhorn Edition by the Crossmedia Art Department Einhorn Solutions GmbH which brings interactive and multimedia books for kids to your fingertips ( App Store link ). The first version was released just before Christmas 2011 and was completely developed by me. It included the first interactive book ( Youtube video ) ready to be downloaded from the Einhorn Edition Store through In-App purchases. 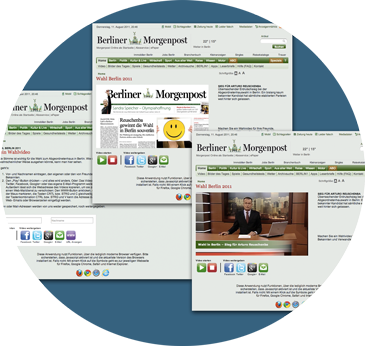 Dein Wahlvideo 2011 (Your elections video 2011) is a webpage developed for Morgenpost Online in which a political video with overlay elements could be personalized. We, a good friend from Denmark Mikkel Gravgaard and me, used the HTML5 media framework Popcorn.js for adapting overlay elements with information coming from a form filled from the user. The implementation supports the different browsers Firefox, Chrome, Safari and even Internet Explorer and mobile devices with iOS. 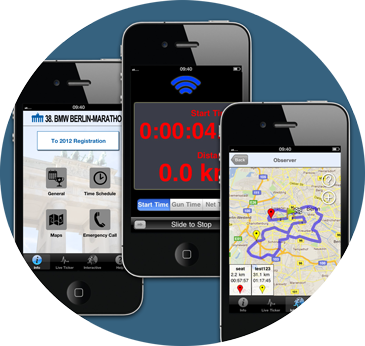 BMW Berlin Marathon is an iPhone app for keeping track of marathon runners and to access info about and around the race. The app also includes a live ticker to follow the race. I was part of the team that developed the first version of the BMW Berlin Marathon app ( App Store link ), which was launched for the Berlin marathon in 2011. The iDriver - Human Machine Interface for Autonomous Cars was part of my master thesis that I wrote at the Freie Universität Berlin (Free University of Berlin) within the AutoNOMOS Labs group and supervised by Prof. Dr. Raúl Rojas. 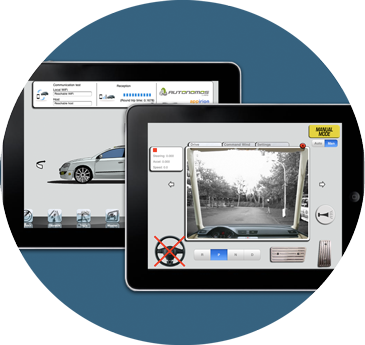 This iPad software solution ( Youtube video ) was developed to navigate and remote control autonomous cars, to give access to live sensor data and useful data about the car state. See released paper for more information. MyCookBook is one of my first iPhone apps ( App Store link ) that I developed for fun, in collaboration with Appirion UG. 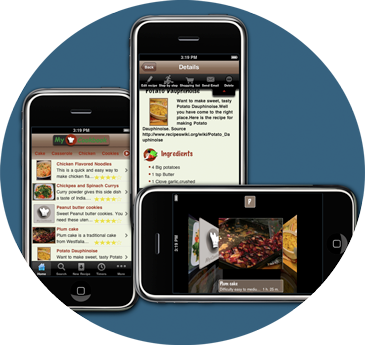 With this app you can collect your favorite recipes in your cell phone. Besides the basic information like ingredients, categories, preparation and cook time, you can also add a description as well as the sequential steps for the recipe. Moreover, you can take your own pictures and put them alongside your creation ( Youtube video ).